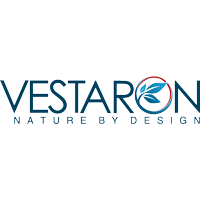 Vestaron develops a platform technology in which naturally occurring peptides are used to develop insecticides for agricultural and other uses. The three outputs of the development platform are safer natural insecticides, crops with improved insect resistance and new safer synthetic insecticides. Vestaron has a substantial pipeline of additional peptides to develop across the three-tiered platform. These peptides have unique modes of action from one another and from existing commercial insecticides. The product development model has been shown to efficiently deliver new products with new modes of action. Learn more about Vestaron at vestaron.com.